Life is anything but normal within of the walls of USA’s summer drama series Graceland. And how could it be with ridiculously attractive government agents all living under one roof? 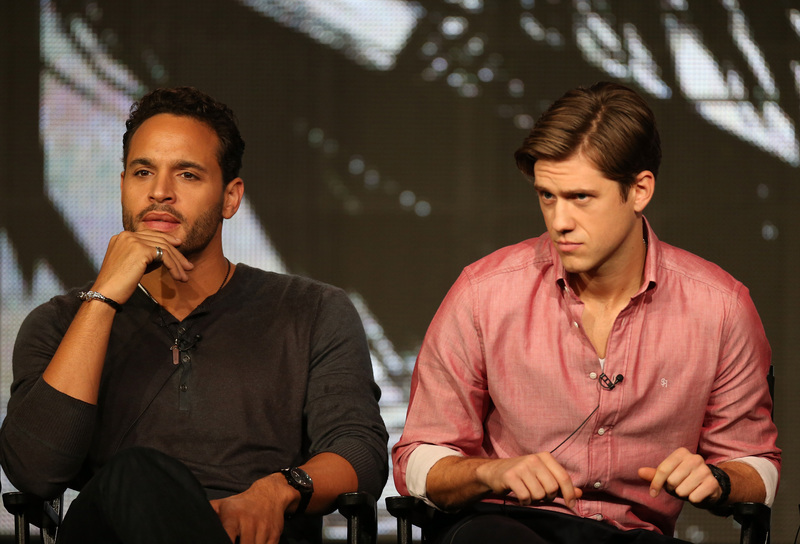 Graceland will return for Season 2 on Wednesday and of course that means loads of new tension and drama are ahead. While the first season finale saw Mike returning to FBI headquarters to live his dream, in a recent interview with TV Guide, series star Aaron Tveit said that his character will realize early in the second season that he might've had it all wrong. Pushing paper isn’t really what Mike wants to do, and an opportunity from Briggs will bring him back to the beachfront, where he’ll have the chance to run the house his way. Tveit also revealed that though Briggs was the clear antihero in the past, their roles will flip a little with Mike out to prove to himself that he’s better than everyone else. Additionally, the show will also expand a little more and focus on the other housemates, including Johnny, instead of just Mike and Briggs. As excited as I am to see what Graceland has in store for its promising second season, like many fans, I might not be able to watch the premiere when it airs at 10 p.m. Luckily, even if you have to miss the episode due to a social life, sleep, or just forgetting, you won't completely miss out. Here are the alternative ways to watch Graceland's second season premiere for those who don't catch it live. USA generally offers episodes of its shows online the day after they air, and using this option lets you choose among platforms like your laptop, cell phone or tablet. However, without a cable subscription, you won’t get far. Actually you won’t get anywhere. You’ll need to login with your cable provider information so if you don't have a cable subscription, this isn't the best option for you. For those without cable or who just don't feel like logging in to watch, Hulu will have the first six episodes available for free the day after they each air. However, starting with episode seven you’ll have to wait a whopping 30 days after an episode airs to see it, so you might want to come up with a backup plan for later in the season. Hulu will also only allow you to watch Graceland from a laptop, so if you prefer to stream on a phone or tablet, you're out of luck. USA tends to replay episodes immediately following their premieres, which is awesome if you know you won’t be getting home until 11 p.m. or have too many shows recording on your DVR at 10 p.m. When the show will air outside of the immediate replay, however, is anyone’s guess. Depending on how long you can wait to see Graceland,you may want to browse your TV listings or USA's schedule.